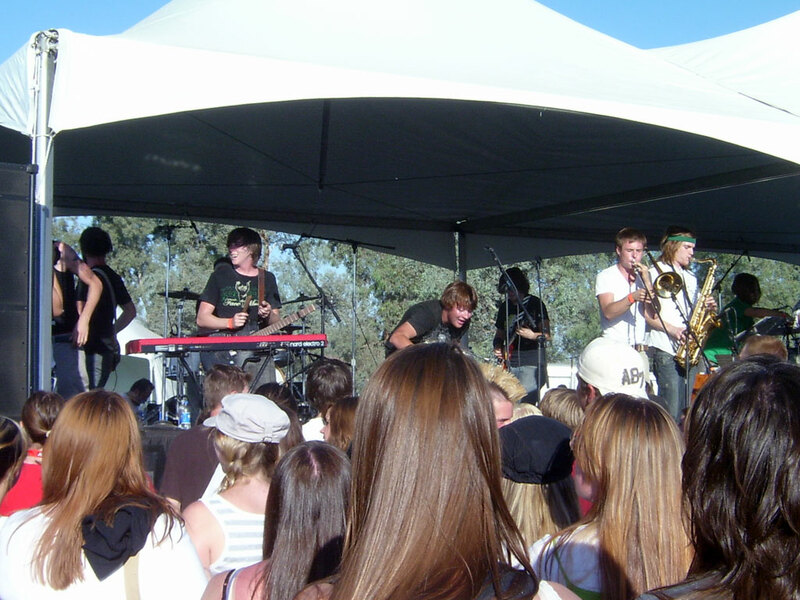 As a seasoned concertgoer, I have come to like the large music festivals which come to the valley each year. First, you get to see a lot of bands for one flat price. Second, you get a whole day’s entertainment for the price of a ticket. That’s a lot of bang for your buck! Finally, you get to see all sorts of weird and interesting people at music festivals. These three factors greatly influenced my decision to go to Edgefest 2007. 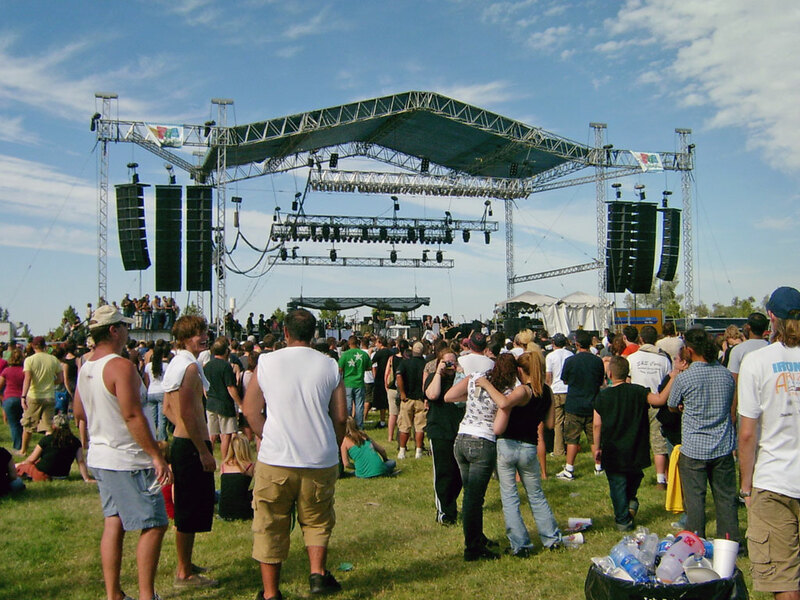 I had gone to Edgefest once before, back in September 2004. 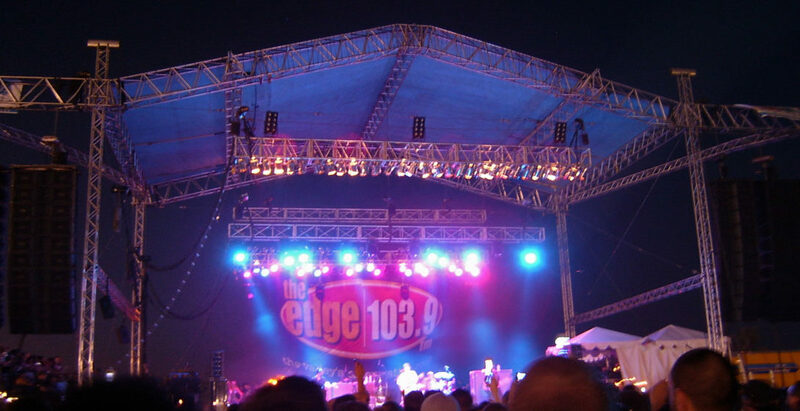 That year, Edgefest was held at Peoria Sports Complex; a large outdoor baseball stadium. 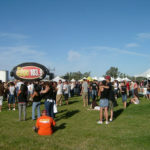 The middle of September was not a great time to be outdoors in Arizona, but that didn’t stop thousands of people from sweating their butts off as they braved 100 degree temperatures to see bands like Story of the Year, Something Corporate, Goldfinger, Flogging Molly, and the Kottonmouth Kings. The problem was that a powerful monsoon storm moved in around 5 o’clock in the afternoon and turned the sky black. The strong winds ripped down several large banners and threatened to take out the main stage, which was swarming with crew members frantically trying to anchor it to the ground. Soon after that, it began pouring rain and the event security staff forced everyone to clear out early. The headline acts never got to play. As a gesture of good faith, a make-up show was scheduled at the Glendale Arena in December. Fans that showed their Edgefest ticket stubs got a discount on admission to see Story of the Year with Jimmy Eat World and Authority Zero. 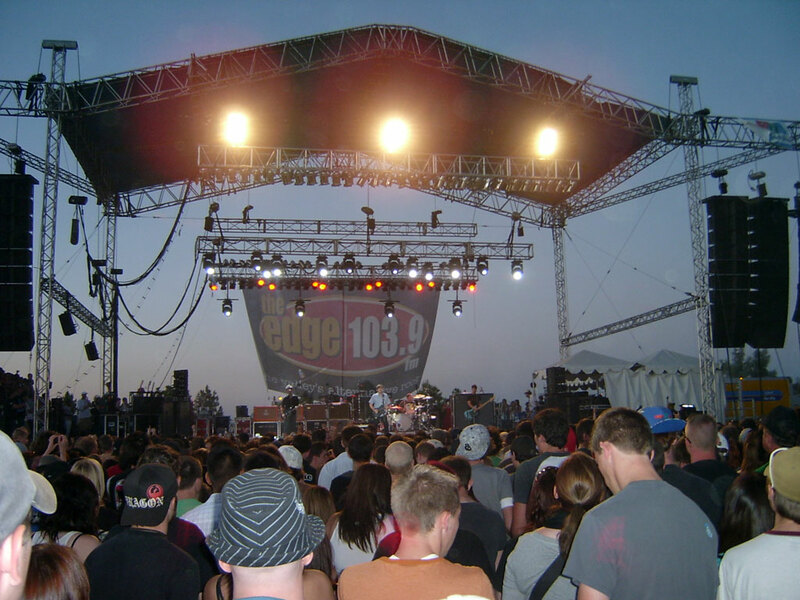 While the make-up show was excellent, memories of Edgefest 2004 lingered in my mind as I considered going to Edgefest again in 2007. As fate would have it, a friend’s mom got free tickets from work so we decided to head out there and check out the show. 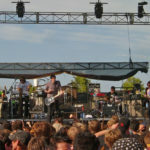 Some of the headline bands included Bad Religion, Social Distortion, Jimmy Eat World, Plain White T’s, Hot Hot Heat, and The Bravery. 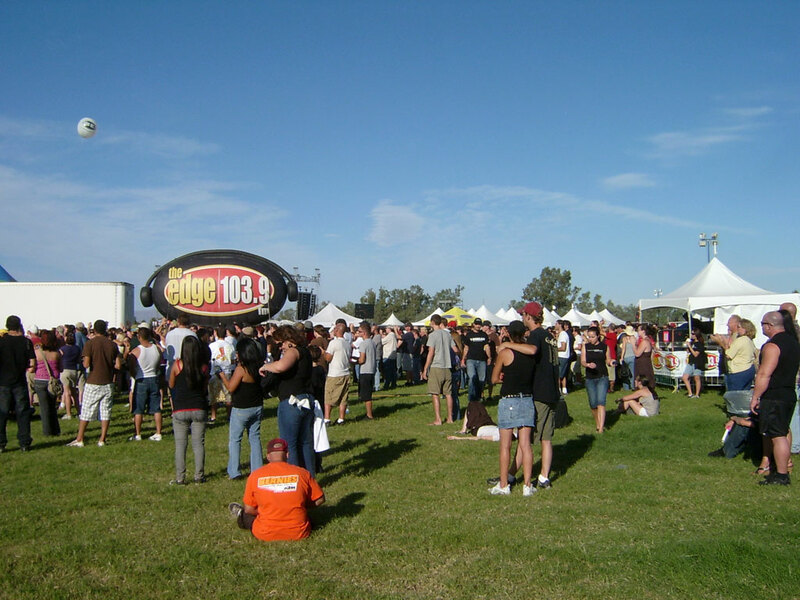 Possibly due to past events, Edgefest had moved from the Peoria Sports Complex out to Schnepf Farms in Queen Creek, Arizona. It was a long drive from my house, and the traffic got progressively worse as we got closer to the venue. We were directed to park in a large field, which was very dusty despite being covered by grass. We got there kind of late in the afternoon, maybe around 3 o’clock. I immediately noticed what an awesome place Schnepf Farms was to host a music festival. The skies were clear and blue and the grass was green and cool as we wandered around. Everything was spread out and I didn’t feel crowded by the thousands of other people there. 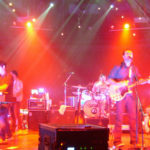 The first band we saw was The Bravery, who played an energetic 30-minute set. There was plenty of time to wander around and check out the food and merchandise booths, as well as the smaller stages for local bands. It was here that we discovered Captain Squeegee and the Soap Suds, a 7-person ska band that had so many members they could barely fit on the stage together. We watched them for a while and I really liked their sound. My friend even bought their CD. For dinner, I followed the scent of meat to a small cart in the back corner, where I purchased a delicious burger and fries. There was no place to sit so we plunked down on the grass to eat. We were both carrying around bags full of free swag like posters, stickers, and keychains. I really liked that my pictures were turning out so well. There were plenty of porta-johns, which is more than can be said for the Warped Tour. After dinner, we watched the Plain White T’s, Jimmy Eat World, Bad Religion, and Social Distortion back to back. 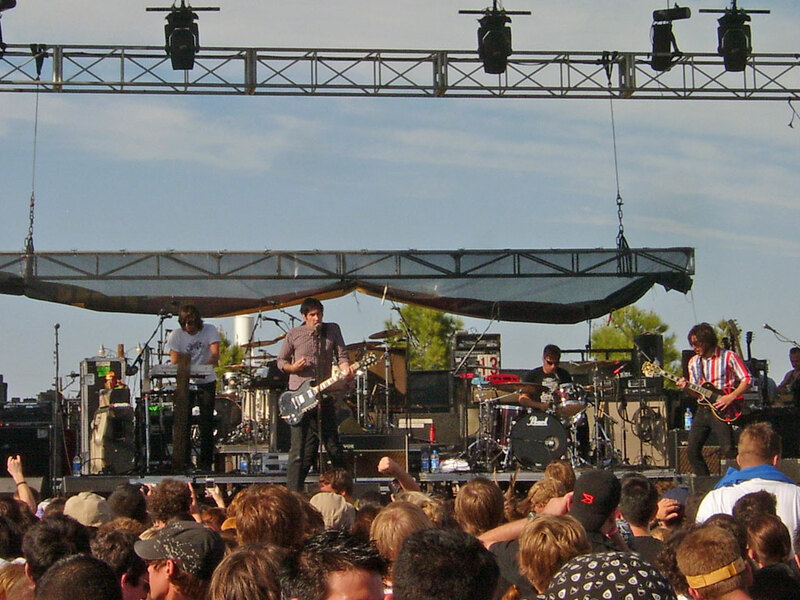 My favorite band of the evening was Jimmy Eat World, who played an awesome extended set as the sun was going down. The band seemed very excited to be playing a home show and their energy quickly infected the crowd. I got the impression that most people were just hanging out waiting for Bad Religion and Social Distortion, who were the last two bands to play. 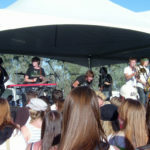 Both of those bands played to much applause and admiration from the acres of screaming fans. Everything about the show went just great, save for the getting home part. We got to the car rather quickly, but ended up waiting for TWO HOURS before we could get out of the parking lot. There were police directing traffic and the line of cars in front of us just never seemed to move. It was very, very frustrating to just sit there and watch the less patient people around us try to nudge their way around you and zoom off trying to find another exit, only to come back with their tail tucked between their legs. We eventually did get out of there, but by then it was long after midnight and we had a long drive back through the strange and uncharted far East Valley. My second Edgefest experience was much more pleasant than my first one and I would certainly give it another try in the future.